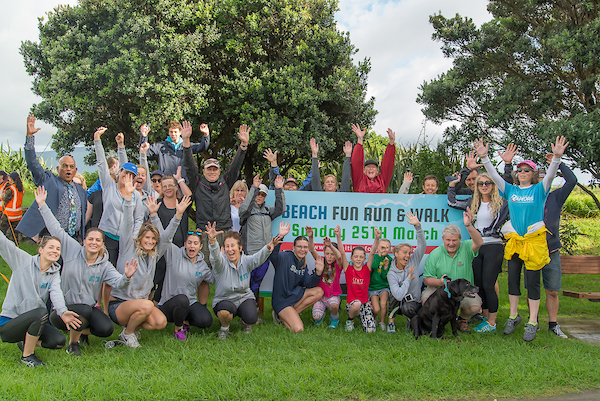 Kapiti Run for Youth took place on Sunday 25 March with 272 participants. Sponsorship is still open until Friday 6 April however funds raised at this point are nudging $20,000. 12km Run – Connor Johnson who was part of the Kapiti Youth Achievement Trust team who ran an amazing 46 mins. We also highly commended Daks Barton for his efforts in this run. 12km Walk – Kate Jones & Raewyn Barr jointly walked and talked very fast in the rain and completing within 1 hour 45 minutes. 6km Run – 10-year-old Ethan Russell from the ANZ Paraparaumu team sprinted home in 29 minutes. 6km Walk – Matthew Johnson and Leila Phipps from the Raumati Swimming Club and Sophie Handford from Kapiti College all passed the line together in 50 minutes. Huge thanks go out to every participant whether walking or running individually or in a group, our Event Sponsors and 56 Business Sponsors who have committed a whopping $13,000 to the total sponsorship raised. 70% of the Business Sponsorship will be directed to Kapiti Youth Support so they can continue running their at-risk youth mentoring programme that was done by Youth Quest before their demise. “We continued to be humbled and extremely grateful for the support and participation shown by everyone who chooses to get in behind Kapiti Run for Youth,” says Richard Calkin. Everyone deserves a rest now and we will turn our focus to reconciliation and paying out funds to our official Fundraising Partners for 2018: Kapiti Youth Support, Kapiti College, Paraparaumu College, Kapiti Youth Achievement Trust, Raumati Swimming Club and ZEAL Kapiti. Original generation time 1.3160 seconds. Cache Loaded in: 0.0341 seconds.